On 23rd April, 2013, I packed a small bag as I planned a trip to Akure the following day – the National Youth Council of Nigeria was scheduled to hold a convention from 24th-26th April during which new excos would be elected, and I intended to be an observer. However, on Friday the 24th, I had to return home midway because I learnt that the congress had been cancelled. The reason given was that the Honourable Minister for Youth Development was out of the country. Eventually, delegates returned home, the leadership of the Youth Council met with officials of the Ministry of Youth Development, and a new date was agreed upon – 23rd-26th May. This was, however, not to be as events spiralled out of control and a controversy ensued; a controversy that had the (dis)Honourable Minister for Youth Development, Dr. Inuwa Abdulkadir, at its centre. Sources say that the first signs of trouble appeared when the venue was changed from a non-PDP state to a PDP state, allegedly at the Minister’s insistence. Their fears were later confirmed when members of the Electoral Committee were invited to the Benue State Government House and were allegedly coerced – at first nicely, then later with threats – into ensuring that Comrade Yakubu Shendam, a staunch PDP supporter, emerged the winner. Comrade Shendam was allegedly described by the Minister as ‘the candidate anointed by the PDP chairman, Alhaji Bamanga Tukur’. Sources within the Council further went on to state that other members of the Electoral Committee had to flee when they realized that their colleagues were in danger, thereby abandoning the congress. The Minister then directed men of the SSS to inform the delegates who were left behind to leave Benue as their safety could no longer be guaranteed – out of trust for the Minister and respect for the office which he occupied, the delegates obeyed, only to hear on their way home, that the Minister had gone on to announce Yakubu Shendam (along with a list of excos) as the winner of an election that apparently had not taken place. ‘The Minister directed the SSS to stop the first congress in Akure because he was out of the country’, said Comrade Wale Ajani, the incumbent president of the Council (or immediate past president, depending on what angle you view this from). ‘On 2nd May, we met with Ministry officials and the new dates 23rd-26th May were chosen, with the issue of venue stepped down’, he continued. ‘On 14th May, I received a letter from the Ministry informing us that Makurdi, Benue state was to be the venue of the upcoming congress. On 22nd May, I was served a motion suit number FHC/L/CS/654/13 by a bailiff from the Federal High Court, Lagos. We proceeded to Makurdi for the congress, only to be served a bench ruling by the same court on May 25th, asking us to maintain status quo ante until determination of the suit. I then consulted the Incorporated Trustee of the Youth Council, who advised that we call off the congress and a text was sent to that effect. Prior to this decision, the Minister had started coercing presidential candidates to drop their ambition and support the so-called anointed candidate of the PDP Chairman. After the congress was adjourned and delegates had left for their homes, the Minister then went on to announce Shendam as winner – someone who had never held a position within the Council’, he concluded. one of the strongest contenders for the presidency of the Council, also attested to the fact that Yakubu Shendam was declared winner despite the fact that elections did not hold. ‘This is a travesty of justice, and absolute proof that the Minister has no regard for the rule of the law, despite being a learned fellow’, he said. When the chairman of the New Transition Committee, Comrade Solomon Idiogbe, was asked about what transpired during the Benue Congress, he affirmed that the Minister for Youth Development coerced Council officials to ensure that Yakubu Shendam won, and offered reward in the form of money and promises of key positions. He further went on to say that Yakubu Shendam distributed $100 notes at the registration venue, and promised leaders of the Voluntary Youth Organisations additional $150. He also said that all activities were delayed by several hours, and on Sunday when delegates were initially meant to depart, they decided to find out the root cause of the many discrepancies . The outcome of their investigation, however, was shocking; they eventually found out that a cabal was making moves to hijack the election, and that Governor Suswam of Benue state had allegedly paid ten million Naira to ‘some persons termed Northern aspirants’ so that they could step down and pledge support for Shendam. ‘We all thought the Minister had left Makurdi, not knowing that he was cooling off in a hotel room waiting for his plan to be executed’, he added. ‘We all went to the registration venue – IBB Square- where delegates were screened and then put on a bus to Aminu Isa Kankagora hall, but regrettably, delegates were locked up in the hall under tight security by the SSS and police. When we put a call through to Comrade Ajani (who said that he wasn’t coming) and discovered that Tanko Yakassai (the secretary of the NTC) had left the venue, congress rose, quoted all relevant sections of the constitution, and pronounced the Ajani-led Exco, NTC, ELECO, and all other previously existing committees dissolved. A fifteen-man Transition Committee was then immediately set up to pilot Council affairs for not more than the next ninety days. It became a show of shame and a surprise to us all when the Minister, whose duty was to supervise us without necessarily interfering, took sides and announced Shendam as president on Tuesday even though a report of no election had been presented to him on Monday’, he concluded. He concluded by saying; ‘those aspirants who stepped down for me have been given posts in my government’, and that he was a staunch supporter of President Goodluck Jonathan, and intends to work fully with the president in line with the transformation agenda. Efforts to reach the Minister proved futile as one of his aides declined to give a comment, and he also refused to attend to enquiries on his direct line. 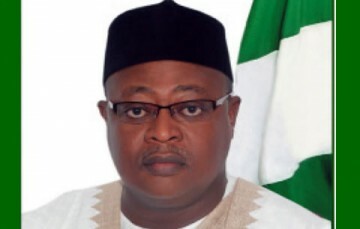 In reaction to the situation and the dishonourable manner in which many claim the Minister, Dr. Inuwa Abdulkadir, conducted himself, a protest tagged ‘Dishonourable Minister’ organized by the Save Nigeria Group, Alliance for Credible Elections,Transparency International, Anti-Corruption Network, the National Association of Nigerian Students (NANS), NUJ, and Campaign for Democracy, is slated to hold tomorrow, 6th June, by 9a.m. The aggrieved youths are demanding for the Minister’s resignation.